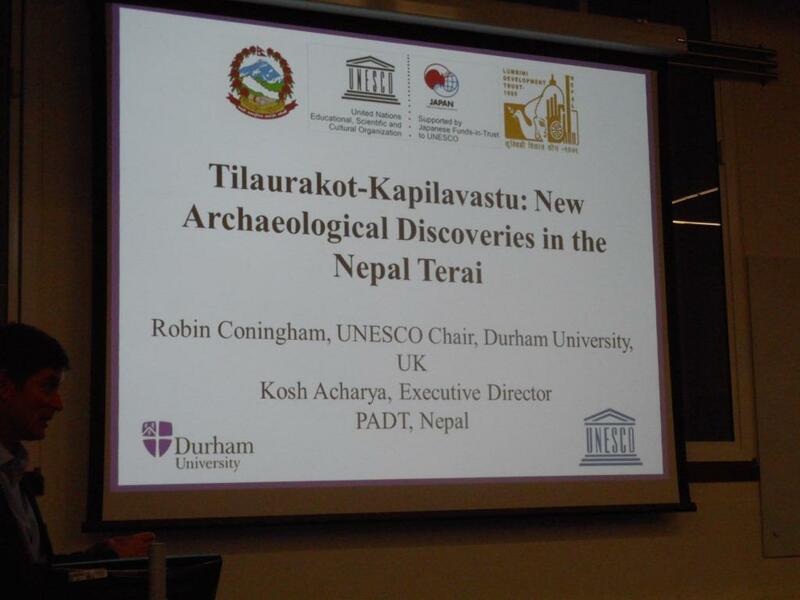 Prof. Coningham described the history of the site of Tilaurakot and laid out the overwhelming evidence which supports – despite some continuing dissident voices – the identification of the site with ancient Kapilvastu. Much exciting new evidence, collected by his team over the past two years, adds to the case for the identification and expectations are high for the coming digging season. At the moment the site displays only a few signs of having been an ancient city but geophysical surveys reveal, just under the surface, an extensive and planned Kushana city with walls, large sacred and secular structures, many houses, a large pond (analogous to Rani Pokhari in Kathmandu), and stupas in the cardinal directions. Deep trenches sunk by the team demonstrate that the site goes back continuously at least to the time of the Buddha himself. Professor Coningham also described the plans to enhance the visitor and pilgrim experience of the site as well as the training and capacity-building for Nepali archaeologists that form an integral part of his UNESCO-backed project. The programme, organized with support from the SOAS South Asian Institute (SAI), was chaired by BNAC’s Chairman, Prof. David Gellner. 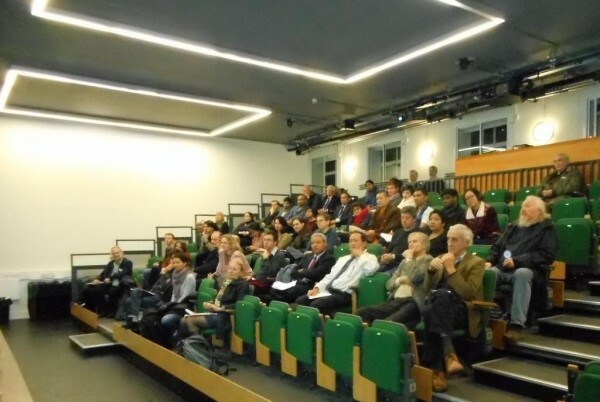 The lecture, in which over sixty people participated, was followed by a question and answer session. BNAC also hosted a reception afterwards. The BNAC Annual Lecture 2015 will be given by Prof. Abhi Subedi The Unique Blend of Literature, Politics, and History in the Writings of Bishweshwar Prasad Koirala (विश्वेश्वर प्रसाद कोइरालाका लेखहरूमा साहित्य, राजनीति र इतिहासको अनौठो सङ्गम) in SOAS, London, on a date to be announced in due course. For more information on the event, clink this link.